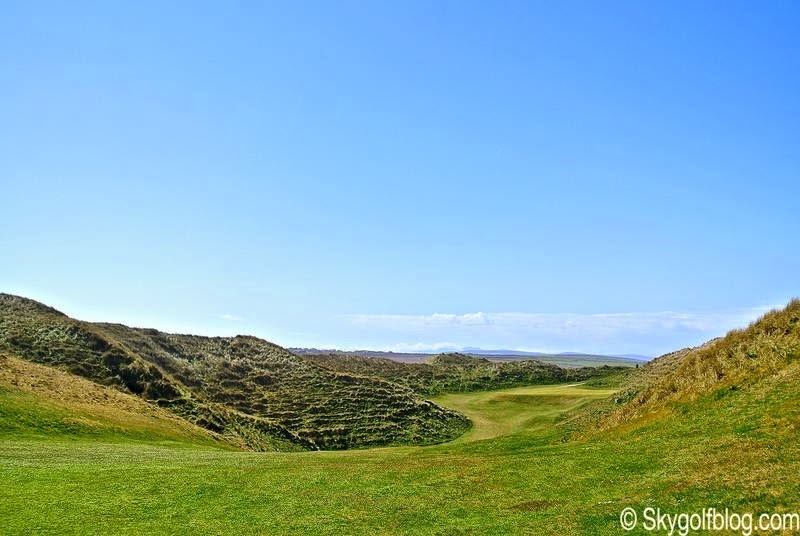 Named after the estuary that runs into the Atlantic Ocean on the south side of the golf course, The Cashen Course at Ballybunion, also known as the New Course, is the late, great Robert Trent Jones Sr.'s only links creation. 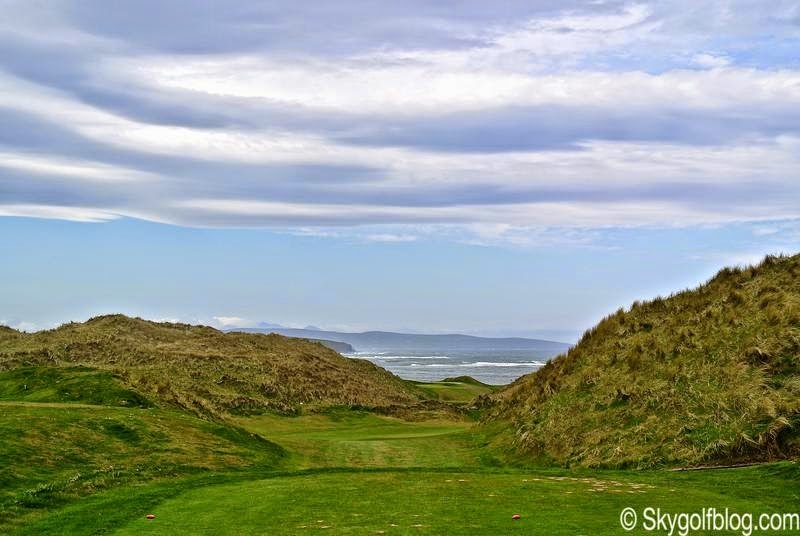 Even if shorter than her esteemed older sister, The Cashen Course, opened in 1984, screams out for equal attention. 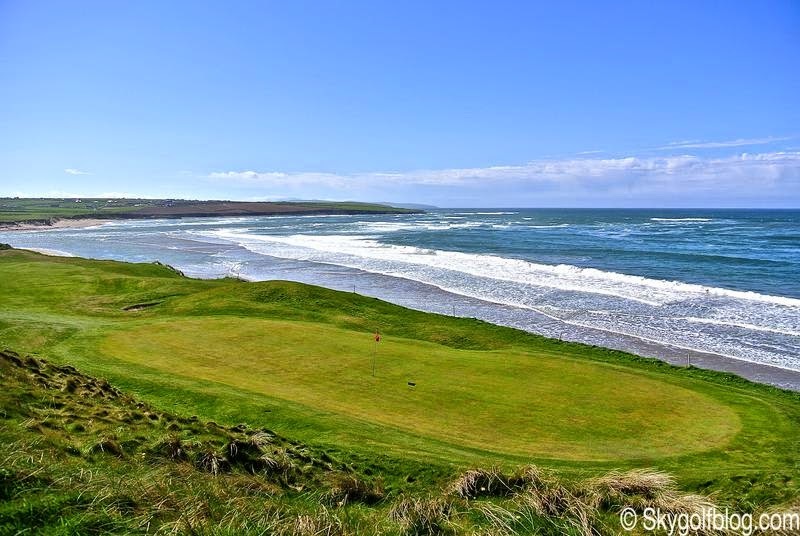 Although built on what could be justifiably be described as a more scenic and spectacular landscape, with breathtaking ocean views, the intriguing and challenging layout will probably never achieve the equality it craves. 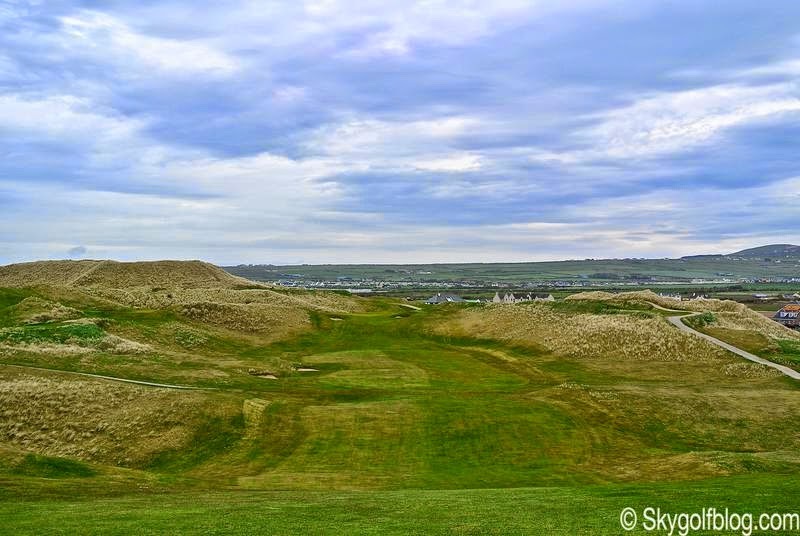 But still, is one of the best modern links golf courses you may play in Ireland. 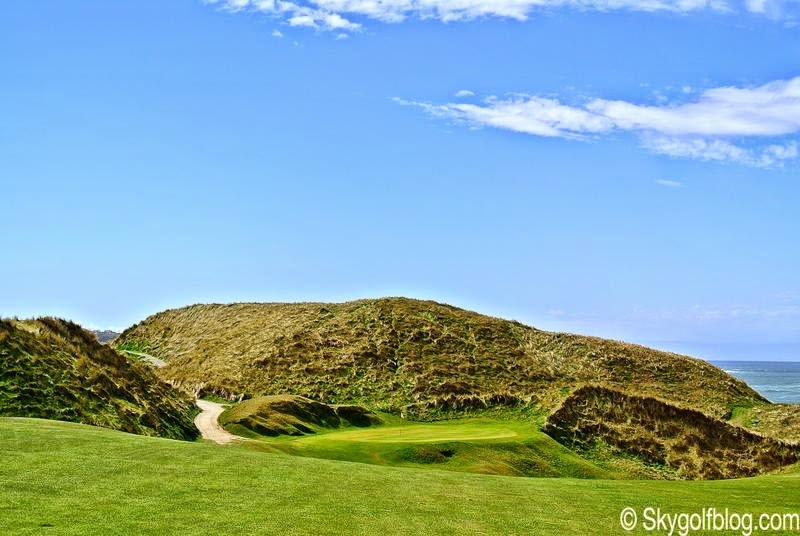 As Ballybunion's official web site states "in many ways The Cashen is more irascible, more spectacular, more flirtatious, more brutal and more unforgiving and more difficult to tame than her older, more famous sibling". This couldn't be anymore true. 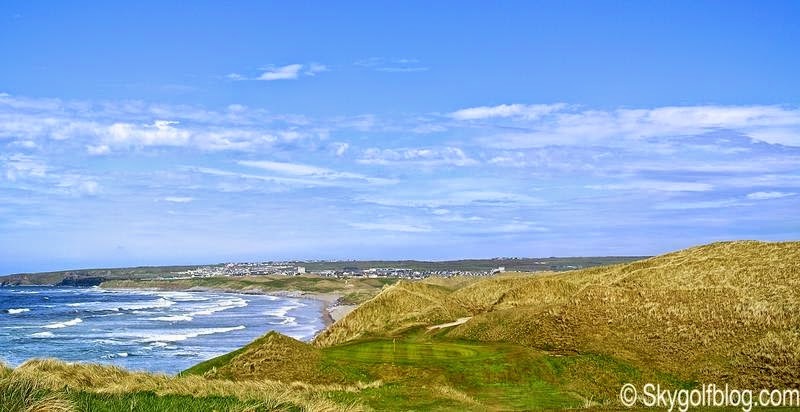 Maybe because here the sand dunes are higher than on the Old Course, the valleys are deeper, the fairways are tighter and the greens are smaller, more heavily trapped and more undulating, and overall the course less forgiving, every shot you hit needs extreme precision. 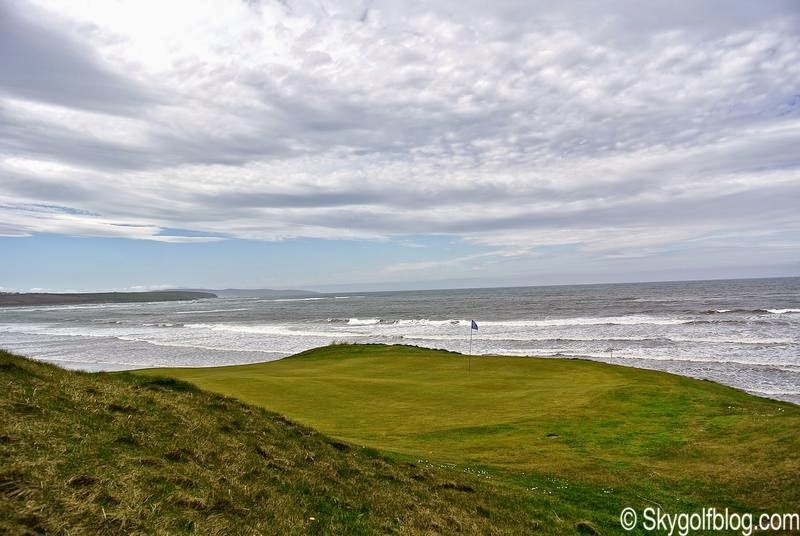 And the wind here is a big factor too. 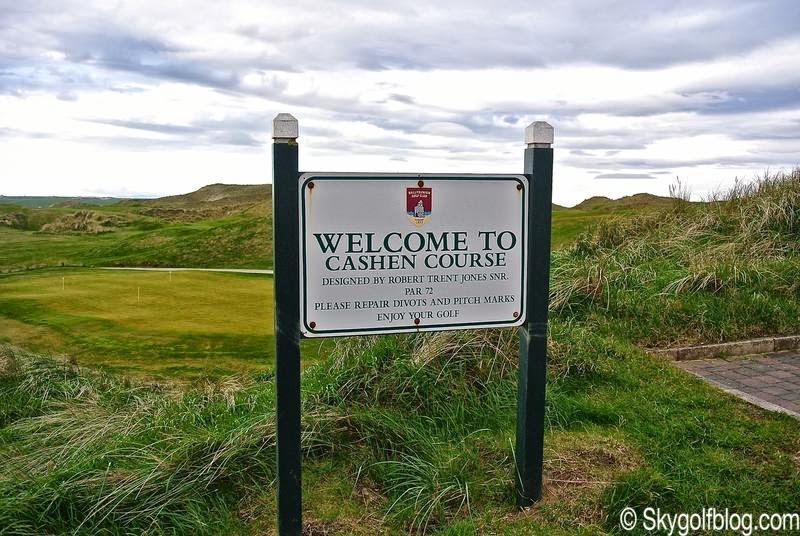 While The Old Course requires shot-making, placement and trajectory control, mainly with your shot to the greens, The Cashen Course requires acute precision especially off the tee as fairways frequently disappear around corners. 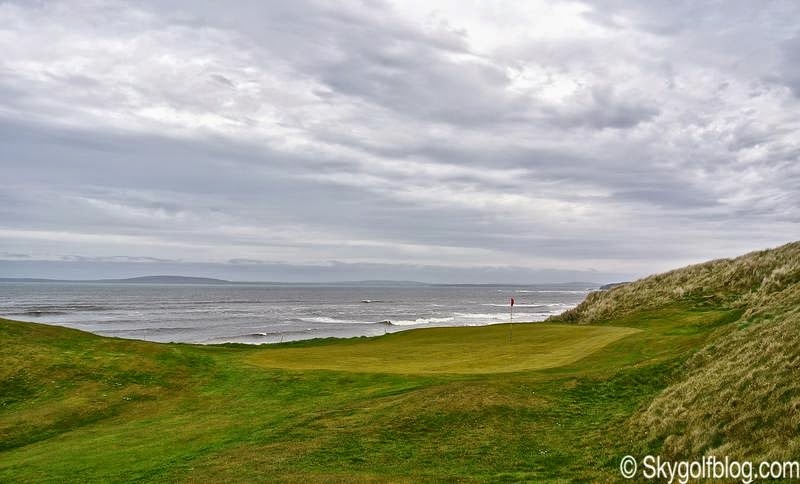 A course that must be played more than once to get the lay of the land and know exactly where to play your ball. 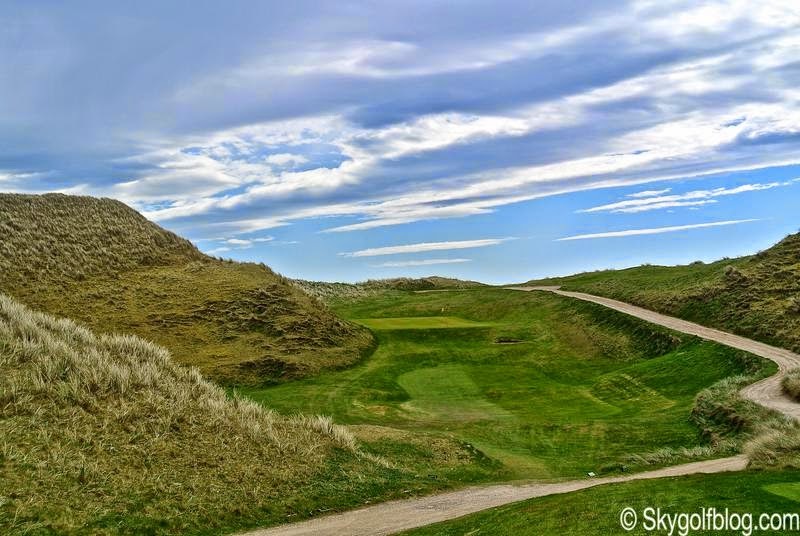 But one thing you need to remind: due to the several severe climbs, playing the 18 holes results on a extremely difficult walk even for the supremely fitted golfers. 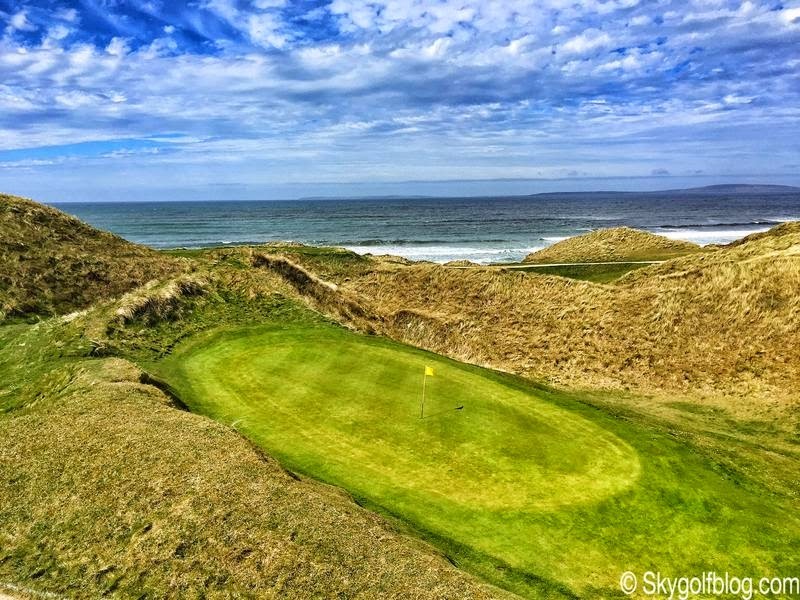 It is hard to choose the best hole of the course. 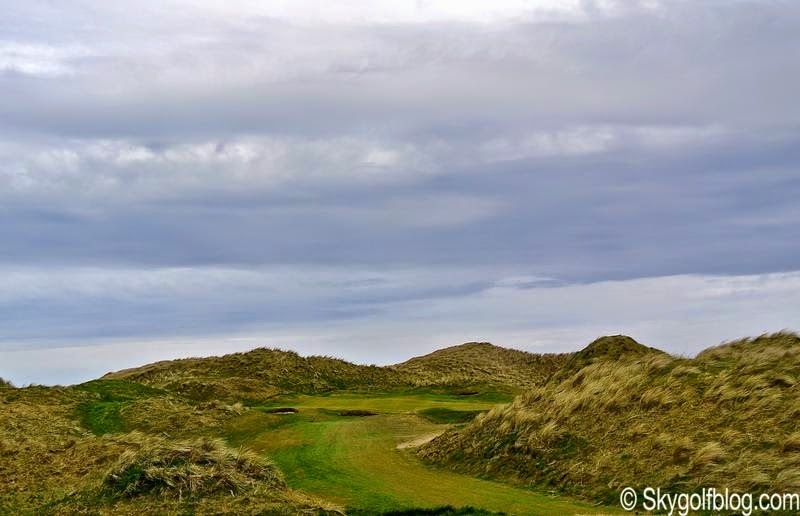 Some people love the 395 par 4 13th, the No.1 index hole, where the tee shot must be played through a channel of low dunes and the prevailing wind and the second shot to a green that is perched far below with the right side absolutely to avoid. 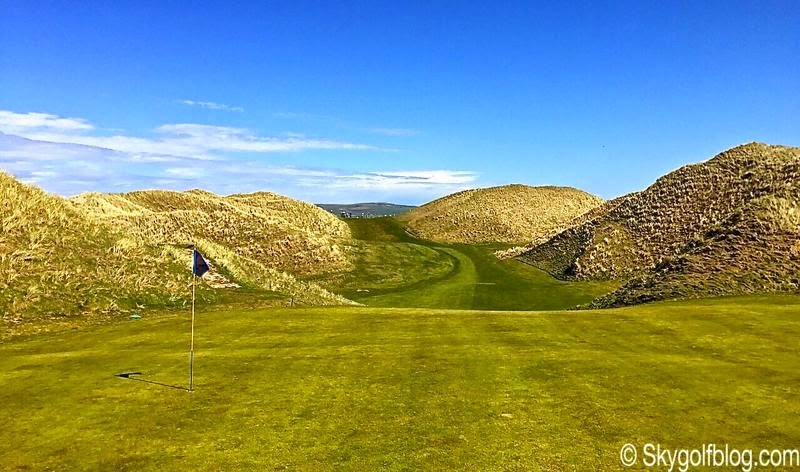 My favorite hole is the 481 yds par 5 15th, I think one of the weirdest and at the same time most beautiful holes I've ever played. 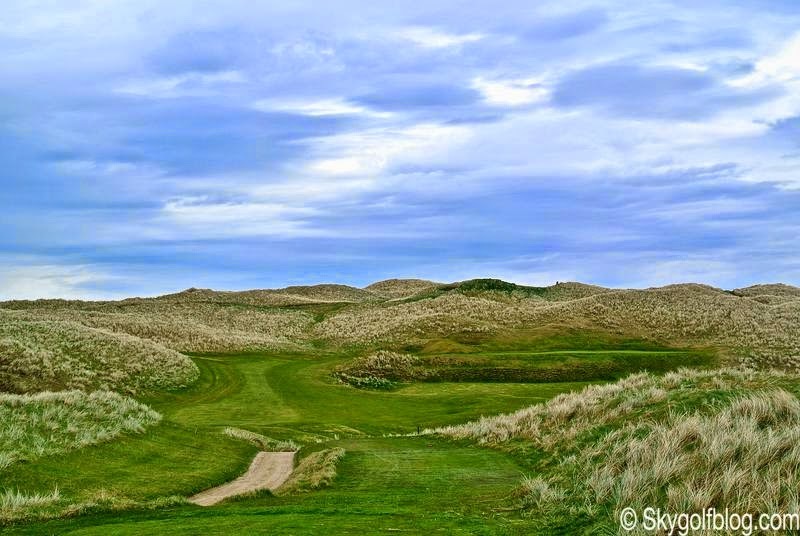 The tee shot is a blind shot to a restricted landing area higher than tee boxes, but when the player walks to the narrow passage looking for the green more then 200 yds away, a most memorable vision appears: the second shot must be played down into a deep fairway bowl finding yourself surrounded by an unreal silence and by the most enormous and high sand dunes you will ever see. 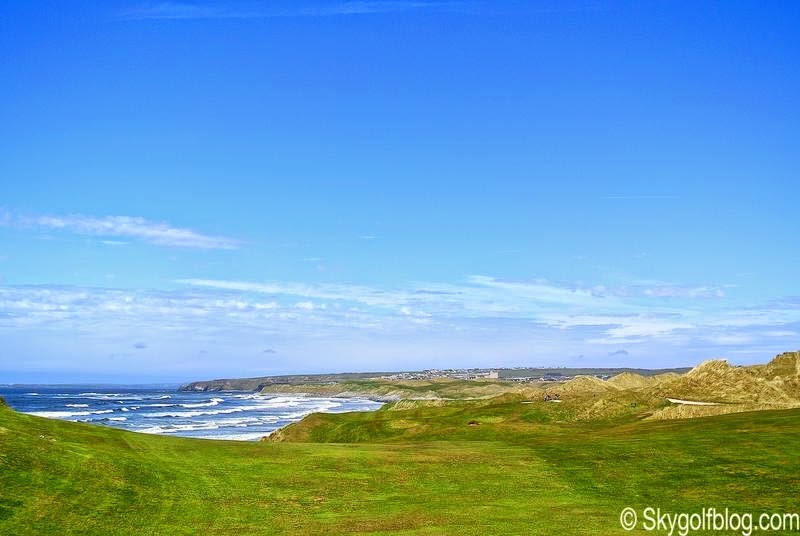 The third shot then goes sharply upwards to a well protected green. 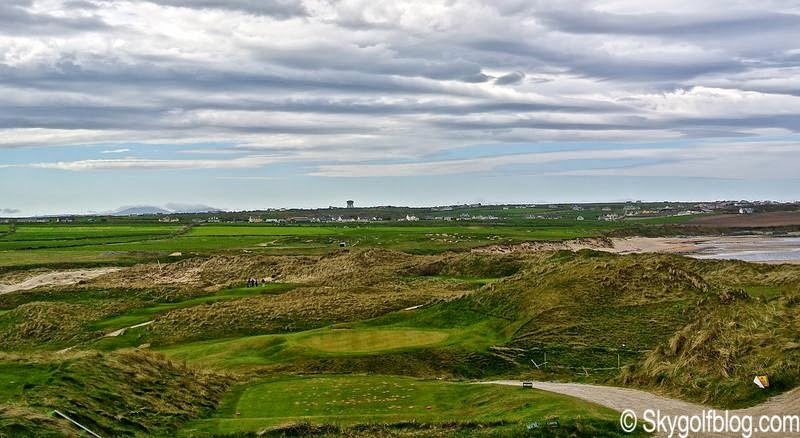 Even if The Cashen Course has been wrecked with controversy since its opening, Robert Trent Jones Sr. described it as the best work of his life. 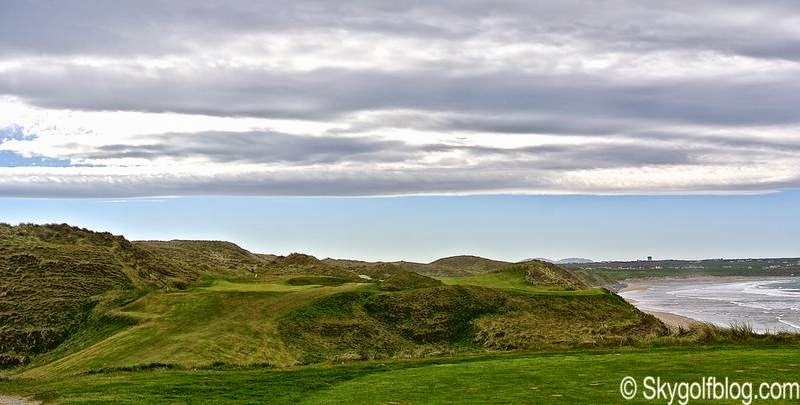 Quoting the book "A golfer's guide to Irish Links", 'playing The Cashen at Ballybunion makes you feel you are part of an epic poem: play it heroically' for an experience you'll never forget.